With Lion’s Head and Isthmus Bay just to the south, White Bluff is an easily recognizable landmark, with its craggy cliff towering above the water, topped by a layer of primitive white rock and forest. Located within the Smokey Head White Bluffs Nature Reserve, the White Bluff Loop offers three different loop trails running anywhere from 2 to 4-hours in length. They all offer incredible views across Isthmus Bay. 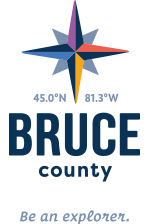 Park your car at the Bruce Trail lot on 40 Hills Road and follow the signs. You’ll find that the terrain is less steep here at White Bluff, making these loops a little more forgiving for beginning hikers.